Zimbabwe said on Thursday it will introduce next month “bond notes” equivalent to the US dollar, sparking fears of a return to the hyperinflation that wrecked the economy several years ago. The southern African nation, led by authoritarian President Robert Mugabe, adopted the US dollar and South African rand in 2009 after inflation, which peaked at 500 billion per cent, rendered the local dollar worthless. But Zimbabwe has run out of US dollar notes in recent months, and hopes to ease the cash crunch by printing its own “bond notes”, starting with small denominations of USD 2 and USD 5. The plan immediately attracted criticism, with analysts saying the token currency would not hold its US dollar value and would be seen as a new version of the valueless local dollar. A wave of protests has shaken Mugabe’s regime this year, with “No to bond notes” among the regular slogans expressing grievances against the government amid a worsening economic crisis. “The bond notes will start to circulate by the end of October and will be at par with the US dollar,” Reserve Bank of Zimbabwe governor John Mangudya said in Harare. 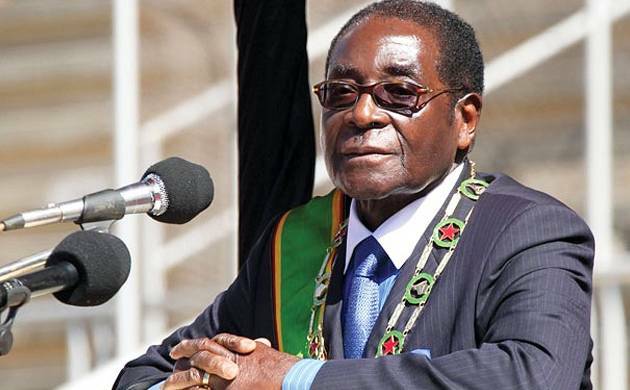 The cash shortage has forced the government led by Mugabe’s ZANU-PF party to delay paying salaries each month to civil servants and the military. With the government again printing its own money, many Zimbabweans fear a repeat of the excessive printing that led to hyperinflation. “It will immediately destroy trust. The trust is not there and the value of the bond note will not be sustained,” Harare-based economic analyst John Robertson told AFP. Zimbabwe once removed 12 zeros from its battered currency at the height of hyperinflation in 2009 when the largest note was the USD 100 trillion denomination. Mangudya denied the new bond notes would be rejected by many Zimbabweans. “It is critical to emphasise that the introduction of bond notes does not mark the return of the Zimbabwe dollar through the back door,” he said. The new notes will be printed in Germany and backed by a USD 200-million support facility provided by Afreximbank (Africa Export-Import Bank), the government has said.